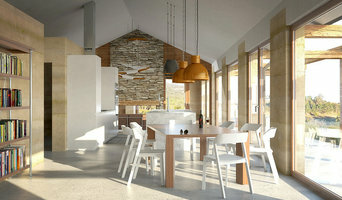 Highlands Heritage Architecture + Design is a residential design studio based in the Southern Highlands of New South Wales. Director Graham Ormsby has over 35 years of experience in architecture, interiors, landscape and heritage work. The professions of architecture, interior, and landscape design are seamlessly integrated for our clients to create residential solutions as suited for each individual client. Based on environmentally sound recommendations, we work closely with our clients and also in conjunction with artists, craftsmen, and quality builders to create unique residences. The fine balance between traditional heritage and contemporary design is considered for each project to reflect the individual lifestyle and environment of our clients. As a team, we are a highly motivated integrated group of consultants with a hands on approach to working with our clients and builders - with years of extensive experience producing outstanding results. Established in 1998, Michael Bell Architects provides architectural services, project management and interior design services to clients in both town and country areas. We work with many different types of buildings from regional farmhouses, to city terraces and apartments, to seaside cottages. We create bespoke spaces using custom joinery and quality finishes, ensuring a building that will stand the test of time. We welcome you to click on our website link to see more projects. 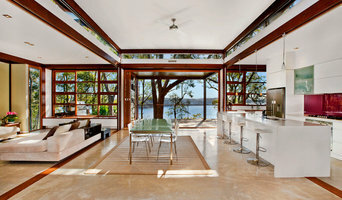 We are a South Coast NSW Architecture practice specialising in finally crafted contemporary Australian architecture. Our work responds to our clients and their site. We design beautiful and sustainable architecture for modern lifestyles. Ideas team do more than create beautiful buildings. They design environmentally sound and cost effective structure. The innovative design and use of sustainable materials not only minimize their impact on the planet but also generate better dollar value to the property market. Ideas design work efficiently, solve problems of space and function and fit comfortably into the environments that surround them. Experience the difference of our solutions to get a most creative, sustainable and financially feasible design for your project. Takt | Studio for Architecture is a private practice based in Thirroul in the Illawarra working between Sydney and the South Coast. 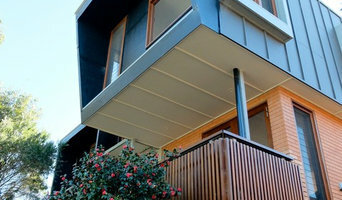 Takt specialise in bespoke residential work and small scale public and commercial buildings. Its focus is on the delivery of site and client specific buildings with great craftsmanship. Local Architect -Sydney South Coast, Australia | Thoughtful design should always include delivering value for money and practicality in buildings. Team Adrian Collins & Anja Michelzahn Anja and Adrian founded Studio 74 in 2011 as a creative studio finally merging their years of extensive expertise in landscape architecture and design. Their unique and personal approach makes them extremely sensitive to functionality which forms a core element of the practice and their strategic thinking and design approach. We inspire everyone to value better architecture and design so that we may all experience better quality of life. We provide a flexible, personal service tailored to your needs. We listen, challenge the status quo, and work with you to add value to your project no matter the size. If your renovation is more than a simple benchtop replacement or roof re-tiling job, then it may be time to find an architect in Wollongong, New South Wales who can manage your project from start to finish. Depending on the architecture firm you hire, the scope can span from planning sustainable design into your renovations, to selecting furniture and even interior finishes. An architect is often the first person you hire for your project. Before taking steps to find an architect in Wollongong, New South Wales, ask yourself what you want to achieve from your renovation or home construction. Do you want to improve the liveability and sustainability of your home, or simply expand? What style of architecture do you prefer? Once you have established your motivation, research architects that have completed similar house designs in your Wollongong locale and within a comparable budget to yours. 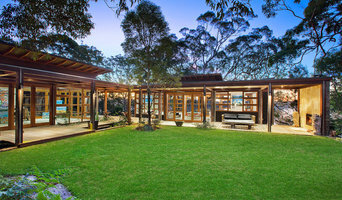 Ideally, your Wollongong, New South Wales architect will be involved in all phases of the design process, from the initial concept to the completed construction. Your architect may be needed to select and hire New South Wales subcontractors (e.g. builders, engineers and landscape architects) just as they may need to negotiate contracts with stakeholders. A good client-architect relationship will ensure they are your biggest advocate along the way during construction. Find residential architects on Houzz. 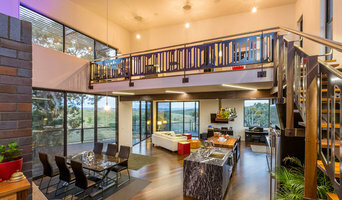 To find the best Wollongong, New South Wales architect for your home design project, narrow your search to find professionals in Wollongong, New South Wales. Then browse their latest projects and read reviews. You can also look through photos of projects to find an interior architect or designer who has worked on a project similar to yours.